Brilliant clear color. Vaporous aromas and flavors of molasses licorice cake, hot pepper and soy, vanilla nut brittle, and caraway rye with a tannic, racy, fruity full body and a hot, elegant, very long finish with notes of ginseng gum, horchata, hot pepper, and taro root gelato finish. A bombastic, high-impact baijiu that makes an impression. 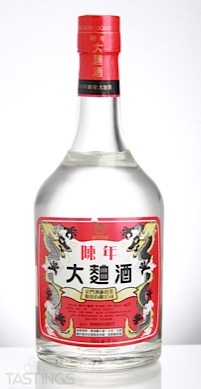 Bottom Line: A bombastic, high-impact baijiu that makes an impression. 85 • Kinmen Kaoliang Liquor 38% (Taiwan) $.00. 89 • Kinmen Kaoliang Liquor 58% (Taiwan) $.00. 88 • Kinmen Premium Kaoliang Liquor 56% (Taiwan) $.00. 86 • Kinmen V.S.O. Kinmen Kaoliang Liquor 56% (Taiwan) $.00. 92 • Kinmen Baoyue Spring Kinmen Kaoliang Liquor 46% (Taiwan) $.00. 92 • Kinmen Battle Spirit Kinmen Kaoliang Liquor 43% (Taiwan) $.00. 91 • Kinmen Superior Kaoliang Liquor 58% (Taiwan) $.00. 88 • Kinmen Original Distilled No.21 Kaoliang Liquor 58% (Taiwan) $.00. 87 • Kinmen Aged Ta-Chu Liquor 66% (Taiwan) $.00. 85 • Kinmen Kaoliang Liquor Selection No. 46 46% (Taiwan) $.00. 93 • Kinmen Kinmen Kaoliang Liquor 1958 46% (Taiwan) $.00. 85 • Kinmen Taiwan Kinmen Kaoliang Liquor 58% (Taiwan) $.00. 91 • Kinmen Kaoliang Taiwan Merchant Selection Liquor 50% (Taiwan) $.00. 87 • Kinmen Kaoliang Platinum Dragon Liquor 58% (Taiwan) $.00. 87 • Kinmen Kaoliang Liquor 53% (Taiwan) $.00. 91 • Kinmen Kinmen Kaoliang Liquor 76 Proof 38% (Taiwan) $.00. 87 • Kinmen Kaoliang Red Dragon Liquor 56% (Taiwan) $.00. 88 • Kinmen Kaoliang Blue Dragon Liquor 38% (Taiwan) $.00. 87 • Kinmen Kaoliang Yellow Dragon Liquor 58% (Taiwan) $.00. 85 • Kinmen Cellar Reserve Kaoliang Liquor 56% (Taiwan) $.00. 87 • Kinmen Kinmen Single Grain Wheat Liquor 43% (Taiwan) $.00. 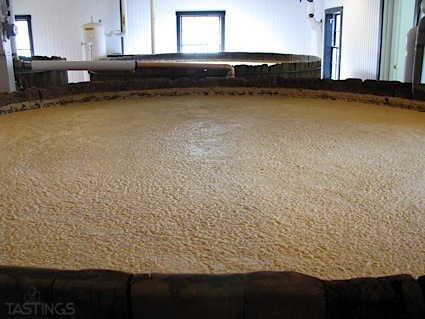 Baijiu is an distilled spirit from China that is made from sorghum, rice , wheat or barley. ABV is around 20%, but may be higher. Baijiu has a clear appearance and offer a flavor profile with notes ranging from olives and cabbage to red licorice, teriyaki and balsamic. There are several versions of baijiu, as some are stored with pork fat, whole others are made with the addition of spices and herbs. Baijiu is generally served at room temperature or warm in small cups and served before dinner. It can also be used in cocktails. Kinmen Aged Ta-Chu Liquor rating was calculated by tastings.com to be 87 points out of 100 on 1/9/2018. Please note that MSRP may have changed since the date of our review.